Conventional wisdom in the US is that there is a ton of demand for international-style paid premium cabin offerings between New York and both Los Angeles and San Francisco. Anywhere else? Meh, not so much. JetBlue’s expansion of its Mint premium cabin to a whole slew of new routes bucks that trend, and it could mean the beginning of a premium cabin war that sees international-style premium cabins come to several new routes. Wouldn’t that be nice? For years, American and United slugged it out between New York and LA/SF with something considered more premium than the usual domestic First Class. About a decade ago, United stepped up its game with the launch of p.s., a more exclusive experience with an international-style onboard product. Delta had played around with international aircraft on those routes before, but they didn’t get serious about it until the JFK buildup began. American took forever, but it leapt over everyone when it rolled out its A321T just a couple years ago. The three were locked in on competing for those high dollar travelers. While this was all unfolding, Virgin America was starting up. It went with a different plan of offering only 8 seats up front that were more of a lounger-style seat, still significantly upgraded over what everyone else was doing in the premium cabin. In New York to LA/SF, this was a competitive product and people loved it. On other routes, it was head and shoulders above the competition. The problem was that Virgin America had a lot of short routes where this kind of seat didn’t matter. With only 8 seats, it might not have been a big gamble, but it also wasn’t a threat to the status quo. Outside of the New York to LA/SF routes, it was ignored. When JetBlue decided to join the premium cabin fun, it was late to the party. But its decision to roll out 16 flat bed seats (4 in private suites with doors) under the Mint name was a leap ahead. Initially, this was meant to make JetBlue a player in the New York to LA/SF markets that were oh-so-lucrative. It did just that. In an arms race where everyone was upping their game, JetBlue rolled out a nuclear bomb. Not only was the product excellent, but prices were much lower than the competition. It was a quick success. For JetBlue, this made sense. As an airline with a hub in New York, it no longer wanted to be able to serve its loyal premium customers but then watch them go elsewhere for flights to LA and SF. This product kept those people onboard and won over new fans. For every other route, however, JetBlue still offered no premium cabin. Then again, the premium cabin others offered wasn’t much to write home about anyway. Seeing the success of its Mint product on the key New York to LA/SF routes, JetBlue started getting curious. If it worked so well in those markets, why not others? Sure other markets weren’t going to have as much premium cabin demand, but that didn’t mean there wasn’t any demand. Further, JetBlue’s prices were relatively inexpensive, and there were only 16 seats to fill. The first easy experiment was down into the Caribbean. Knowing Saturday was a low day for business travel, JetBlue shifted airplanes during peak season to fly from JFK to Aruba and Barbados. Those are markets where the flight times are long and the clientele is rich, so it seemed like a perfect fit. It didn’t take long for this to work so well that it was expanded and pushed to be year-round. Next, JetBlue turned its gaze to Boston. Boston had long ago become a hugely important focus city, and now Mint was brought in to give JetBlue another edge. Service to San Francisco has already begun with LA and some Caribbean flying to follow. With JetBlue having such a strong presence in Boston, this seems like a natural fit. But last week, JetBlue grew again and this time it’s a bolder gamble. JetBlue will now expand Mint to fly from JFK and Boston to Seattle and San Diego. JFK will also get a Mint option to Vegas. And in the biggest surprise from my perspective, Mint is coming to Ft Lauderdale from both LA and San Francisco. What this means is that JetBlue sees demand for fully flat beds in markets you wouldn’t expect. Sure there’s premium demand for JFK to Vegas, and though I don’t know the schedule, I assume this might operate in the night hours, something that could help with utilization. But San Diego and Seattle? That’s a bigger stretch. And Ft Lauderdale seems completely nuts on the surface. But when you think about how JetBlue has a growing focus city operation there with a lot of international Latin connections, then it starts to sound more interesting. So far JetBlue has had tremendous success with Mint, and with every success, it continues to try to bite off a little bit more. If you don’t think there’s someone at Delta watching this very closely, you’re nuts. If JetBlue continues to grow this and make it profitable, then the big guys are going to end up taking action as well. There’s too much at stake for JetBlue to have this opportunity to itself. My hope is that this means we see all kinds of airlines offering true premium cabins on longer domestic flights. Kudos to JetBlue for being the one willing to try it. We should all be hoping for it to be a rousing success. It will also be interesting to see what Virgin Alaska decides they want to do on the competitive SFO/LAX-JFK routes, as well as the SEA transcons. Do they match jetBlue’s flat beds, stick with the Virgin American recliners, or withdraw from the premium market altogether on those routes? My guess is they have two subfleets, one with a product more like Alaska’s current F seats for short flights and one with a nicer product (and no elite upgrades?) for many/most transcons. I think the key here is pricing. JetBlue’s Mint seats have been selling for numbers comparable to what the big three charge for their normal domestic first class offerings and clearly doing well at that price point. Now there are people willing to pay Mint level fares to fly traditional first class in these markets so If JetBlue comes in with a vastly superior offering at a competitive price then thats a win for JetBlue. The question is whether or not the big three want to deploy international lie flat cabins for no fair premium beyond what they are getting now. My guess is the answer to that question is going to be no. I suspect the Mint product in these markets is going to be seen as a niche offering that given the limited flights isn’t going to be worth going after. Consequently I expect JetBlue to do well but I also don’t expect that we have just seen the opening salvo in a flat bed trans con war. The other piece of this I think is going after Alaska/Virgin. I suspect there is a real opportunity here to poach some customers. I don’t think this jetBlue’s expansion of Mint could have been put together so quickly as to have started after the Alaska Virgin buyout was announced, so I don’t think it’s directly related. Is Mint pricing really comparable to *current* big three fares for regular domestic first class? These days, the price premium to get into regular domestic first class is often very small, tens to a bit over a hundred dollars. I think Mint is priced at more like what big three domestic first class cost a few years ago: a premium of a few hundred dollars. The response was announced quickly but implementation will still take more than a year as the company waits for additional aircraft deliveries to support the operation. It is absolutely a response to VX/AS. JFK-LAS is a VX route. So are the FLL flights. The SEA routes are AS as is SAN-BOS. I’m a huge fan of Mint and I hope the expansion goes well. But to see it as anything other than a move to grab VX’s premium passengers as they search for a new home with the AS merger is missing the bulk of the rationale. It wasn’t a “Reaction” but the JetBlue CEO said in an interview last week that they had teams working on 2 options: Plan A: JetBlue buys Virgin and how the merger would work. Plan B: Someone else (ie. Alaska) outbids JetBlue, and we need an even more aggressive growth plan. That’s why they had the Mint expansion and the marketing program aimed at Virgin flyers ready to go 7 days after the Alaska/Virgin combination was announced. Good for jet blue! They succumbed to analyst pressure with respect to the bag fees but this shows they are still willing to innovate and to take risks. Not sure I see how some of it makes sense (FLL, SAN) but overall seems like a good strategy to further differentiate their product and create demand for paid premium cabin travel. Jealous they have effectively abandoned IAD as this service to LAX and SFO would have been received well IMO. Plenty of space at BWI… just sayin’. As long as the FAA keeps expanding slots and adding perimeter exemptions to DCA, the reasons to fly IAD domestically if you’re not already in Loudon, Fairfax or Fauquier Counties become fewer and fewer. There have been many other routes with an international hard product but no upgraded soft product — for example Delta still operates a flat-bed 757 (with no upgrades to onboard service) on some JFK-SEA frequencies as well as certain frequencies on various other routes like JFK-SLC and ATL-LAX, presumably for aircraft rotation reasons. I think AA and/or DL have also occasionally used internationally-configured aircraft on JFK-SAN. So it would not be surprising if more of that happened on a targeted basis. It’s hard to imagine the full international-style business class product with amenity kits, upgraded meals, etc., rolling out to numerous markets, but who knows. Yes, in the late 2000s, AA dropped SAN-BOS and upgraded SAN-JFK from 752 to 763, which included an international style first class (at least in terms of hard product). It’s a good product and definitely comparable with some international business class offerings (not all obviously). Their price point makes it very attractive too – hope it works well. You guys over in the States have been reamed by the big guys in terms of quality offerings so it’s about time someone ups the ante. AJ – Us guys in the States? Are you in Europe? Because premium cabin travel within Europe is far, far worse than within the US. To be fair, Cranky, there’s very few inter-european flights for which an enhanced premium cabin would be remotely worthwhile; JFK/EWR to SFO/LAX is basically the same as a transatlantic crossing, so it makes sense on such a route. But LHR to, say, LCA – an equivalent journey time – is there really a demand for bells and whistles?? Personally, I’ve loved the ps service to LAX and SFO, so will be interested to see how this Jet Blue development works out. Bobber, I think you missed the point slightly. Nobody is arguing that a lie-flat bed is needed for intra-European flights, but the existing “business” class offering on 2-hour flights within Europe is inferior to the typical existing domestic first class product in the U.S. that you’d find on a similar length flight. Yes, European carriers have historically had much better long-haul business/first class products, but I’d even argue that the playing field is much more even these days. In fact, the U.S. carriers often have a far better long-haul J product than the Europeans at this point. I’d take an AA 773 or 772 business class seat before a BA Club World seat any day of the week. Hi Scott, what I was really querying was the need for a premium cabin period, on most flights around Europe. I fly 95% of the time on United (in the back); around Europe, the duration of most flights renders the need to such a cabin pretty meaningless. As long as they’re on time, Easyjet do the job perfectly fine for me. Yeah, I see your point and agree with you, for the most part. If you originate in Europe, then a 2 hour flight doesn’t require many bells and whistles. But if you’ve just flown in on, say BA from SFO to LHR, and now you’re connecting to LHR-ATH, then it would be nice to have a better experience than what is currently offered. In any case, the original issue was AJ’s comment that the U.S. carriers really need to up the ante. Historically, that was an accurate statement, especially compared to European carriers. But increasingly, it’s the European carriers who have some catching up to do! Airlines can do whatever they want to the first class cabin, but until they stop upgrading people to First class and start selling out seats in first at published F fares, it’s all for nothing in a way. It just makes for good PR and a pretty picture in an ad, but do those seats add F class dollars to their wallet, not really. Just so you know, JetBlue does not do upgrades. The only way to get a mint seat is to buy it with cash or true blue points. I understand why airlines do this and the media (you’re big time now, Brett, so including you) cover it, but it makes me chuckle slightly the same way the Southwest inflight magazine is telling me about $400/night hotel rooms and the Delta magazine is letting me know that that outfit being worn by the world traveler is $1500 and the hotel is worth it at $1000/night . We’ve always flown AS from San Diego to Boston but when Mint arrives we may just have to give jetBlue a try. Cranky, any insight whether this was a result of JetBlue’s code sharing? Maybe the thinking is international passengers connecting through FLL, BOS and JFK are more willing to pay for Mint if they’re arriving on a premium product. Brandon – I don’t have any insight on that, but I’d be surprised if that matters in a place like Ft Lauderdale. They have very little in the way of connectivity there. Gotta love competition! We (consumers) benefit! Nothing nuts about FLL. There probably isn’t a single trans-con market with as much paid premium demand as Miami-LA given the entertainment/media hub status of both. Exactly! I’m very confused about the general reaction of “FLL Mint will never work!”. Has anyone seen the demographics around that area? You have a TON of high net worth folks – older, sure, but also willing and able to spend to live in comfort. I think the FLL flights make as much sense in terms of filling demand as anything else they’re putting in at this point. I think LA-FLL is purely an operational decision. Once BOS-LA transitions to Mint, FLL will be the only 320 service left in LAX. (I doubt BUF will last more than a season, and it’s an evening turn anyway). Right now both BOS and FLL are turns, but if one is running late they do swap at times. With all 3 LAX routes going to Mint, there is operational flexibility across the board. As a Marylander, I’d love to see Mint from BWI to the West Coast. Another aspect to the Mint expansion is the new types of customers it will being to jetBlue. I live in SFO and barely even think of B6 as an option when I’m looking for a flight, but now that they offer Mint to JFK, I frequently check their site to see what their fares are. However, I’m pretty tied to AA from a loyalty perspective, so it’s hard for me to jump ship for that occasional flight to JFK as that is a lot of miles I would be foregoing with AA and I need to keep that elite status going! But now if jetBlue starts offering Mint to other places where I’d really like a more premium experience from SFO (like BOS, PHL, IAD, MIA), suddenly they become a viable option for me to concentrate my business. And if I start accruing loyalty points with B6, then I can also start considering them for short hops from SFO to LAS, LGB, and wherever else they might add (wish they’d bring back AUS). So it’s a game changer for me in terms of seeing jetBlue as a viable alternative to the big 3 legacy carriers for becoming my main, preferred airline. Not to mention the nice premium revenue B6 will get from me for all my Mint transcons. Finally, can I just say what a crime it is that AA flies 737s on their nonstop SFO-MIA flights? Maybe that’s not as premium a market as LAX-MIA, but come on, 737s on what is often a 6+ hour flight, and even further if you consider an onward connection to someplace in the Caribbean? I don’t love the idea of flying to FLL, but if jetBlue is going to offer a Mint product on that route from SFO, I’d take that in a heartbeat over the crappy F product on AA’s nonstops to MIA. I have to hand it to jetBlue for creativity. It looks like the Mint pricing fluctuates from flight to flight. It is almost at the point that you have to search as if you were looking for a coach seat. The most important aspect is that it keeps the US3 on their toes. If this is the demise of United and American, then it’s welcome. I can’t stand those airlines. They cost too much and offer crap service. Technically, JetBlue is still considered a low cost carrier, yet it goes out of it’s way to offer better service than the legacy carriers. The only decision they’ve made that has me a bit miffed is their decision to start charging for luggage. These extra services are nice, but restoring the 1 piece of luggage would go a long way to seperating themselves from other airlines, except for Southwest of course, they still offer two pieces. Have to strongly disagree with you on this one CF. This is exactly the kind of trend that needs to be reversed if airlines want to take stronger steps towards providing more environmentally sustainable air travel. JetBlue seats 190 passengers in a fairly generous layout on their standard A321s, but only 159 on their Mint-configured planes, a 16% reduction in seats. This means on an ASM basis, these aircraft are polluting substantially more than JetBlue’s standard A321s. If this trend picks up, it will erode much of the progress that has been made in reducing CO2 emissions per ASM by shifting travel away from 50-seat RJs and other smaller planes onto mainline aircraft. Given the very lackluster progress made by the aviation industry in the past decade on climate change, I’m not sure we can have it both ways in demanding more comfort, which for the foreseeable future, is likely to come with substantial environmental tradeoffs. Lackluster progress???!!!! Seriously do you know anything about the industry? If you paid attention you would know that emissions are tied to fuel burn and that airlines have been working hard to reduce that number. From new aircraft like the 787 and re-engined 737 and later A320’s to winglet retrofits of the existing fleet. Then let’s add lighter slim line seats which also allow more pax onboard and the bio fuel initiatives several airlines have running. The list goes on and on. I stand by my point. The progress in aviation has been embarrassing, particularly compared to the electric power or automotive industries, that are more heavily regulated and have been subjected to more public pressure to reduce their environmental impacts. -New aircraft like the 787 do save fuel. The figures I’ve seen suggest savings of around 20% vs. 767 costs for similar trips. Of course, this is going to vary based on trip duration, operational factors, etc.. It should also be noted that with low fuel prices, many new orders (United 737-700, Delta’s new A321 order), are for conventional variants of these planes, and so re-engined planes won’t be entering fleets as rapidly as some optimists predict. But new planes help, that I don’t dispute. -Winglets reduce fuel consumption in the neighborhood of 3-5%, depending on the aircraft type, utilization, etc. That adds up when you’re running a big fleet, but is still a relatively small percentage reduction. -Slimline seats can reduce fuel consumption by reducing weight, but don’t allow any more seats to be put onboard. That’s ultimately a decision of the FAA and other regulatory authorities. If an airline has used slimline seats to try and get an aircraft recertified for a higher passenger capacity, I haven’t seen it. Since most airlines don’t configure their planes near the regulated capacity, slimline seats can be used to increase density in existing configurations, but again, the benefit is relatively marginal (1-2 rows per plane typically). Also, passengers seem to hate these seats from what I’ve read, so it’s anyone’s guess if this trend will continue. -Biofuel initiatives are a very tiny portion of current flying, and largely still experimental. These have the potential to reduce overall emissions, but these technologies haven’t been deployed on a fleet-wide basis to any airline I’m aware of. Potential, but yet to be proven. The problem with all of these arguments, however, is that it doesn’t address the point I made, which is that reconfiguring aircraft with lower seat densities, as CF is promoting here, and as many US airlines have done by expanding Y+ cabins, means that many of the gains that come from reducing fuel burn are much more limited on an ASM basis. Even if JetBlue was configuring all of their Mint planes on A321neo variants, a 16% reduction in seats counteracts many of the benefits that potential 20% reduction in fuel use from the new engines would provide. To be clear, airlines aren’t doing this because they’ve got it in for the environment. They do it because the people who are actually paying high fares want comfort and frequency, and airlines aren’t incentivized by regulations (no carbon taxes in US) to reduce fuel burn or retire older planes. Spirit can get away with one or two daily flights on a high-density plane, but United and Delta can’t, which is why they might operate (or rather contract to operate) several CRJ-700s (with F and Y+ seating) for a similar route to provide that to customers. Airlines are businesses, they’ll provide what they want to customers who are willing to pay. 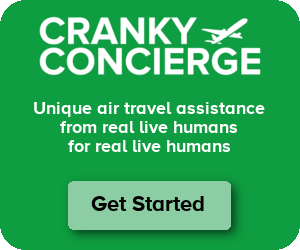 But it’s disingenuous for professionals in the aviation industry to believe that this sector has done anything serious for the environment (relative to other major industries) given the growth of commercial air travel around the world, and the increasing emphasis on comfort and convenience for passengers with lower density configurations. You claim the progress in commercial flying is “embarrassing” compared to the automotive or electrical power industries… Really? Lets take cars. My 92 Mustang LX5.0 gets 22mpg on the highway. A brand new GT 5.0 gets 25 a 13% improvement in 24 years. the 787 being sold today has significantly bettered that number compared to the 767-300 it replaced. But more than that look at the difference in the fleets in the last 20 years. 20 years ago a large number of 727’s were still in service now all gone. 737-200’s now all gone. 747 classics now gone. 747-400’s on their way out being replaced by 777-300ER’s and now A350’s. Even when you look at aircraft that are still in production like the A320 major improvements have been made. And yes Airlines have ordered non NEO narrow bodies but you can’t ignore the thousands of new generation aircraft that have also been ordered. Orders that dwarf these “top up” orders for the older variants. ” If an airline has used slimline seats to try and get an aircraft recertified for a higher passenger capacity, I haven’t seen it.” Then perhaps you should look at the 737-MAX200 which thanks to slimline seats and other changes can accommodate 197pax up from 189. Or JetBlue which is using them to add 12 seats to the entire A320 fleet. Or Airbus which is offering higher density versions of the A321 and A320 than were available previously. You may say these benefits are “marginal” but isn’t the converse true of what started this? That the reduction from 190 seats to 159 seats on a small subfleet isn’t that marginal too? The biofuel efforts may still be small but that airline are willing to overpay to get biofuel should certainly be worthy of note. Biofuel companies are hardly in the position right now of being able to supply the needs of the sector and their position would be far worse without the revenue streams coming from airlines. You allege a trend toward “lower density configurations” but the facts don’t support this. 777’s are being switched from 9 across to 10 across in economy. 787’s are being deployed not at 8 abreast as Boeing originally marketed but at 9 abreast. And seat counts are going up not down at most carriers. No what’s really disingenuous is to ignore the progress that has been made. Regardless of motivation airlines are one of the most motivated sectors in industry to reduce their Carbon output and to spread that output across more people. That they continue to do so without onerous regulation forcing the change should be celebrated and not condemned. If your going to allege that the sector is an environmental offender relative to other major industries then you better have some hard facts to back up your bull. The problem is not with the fact that some things haven’t happened, because I think we agree that they have. Older planes are being retired and technology improvements, like winglets, etc. are real and do make a difference. The issue is that the pace and magnitude of change has been much slower in the aviation industry than in the automotive or electric power industries. Right now, CAFE standards in the automotive industry are forcing a 5% y-o-y increase in fleetwide automotive standards. In the electric power industry, there have been substantial shutdowns of coal plants, and replaced largely with natural gas, which emits 50% of the emissions that coal did. There aren’t any new coal plants (ex. Kemper, MS CCS) being built in the US right now, while there are still plenty of older conventional-engined aircraft that will be built for the next 5-10 years. That’s a real difference. What’s happening in the automotive and electric power industries is that the energy and design technology is changing, and that hasn’t happened in aviation. More radical ideas for reducing emissions, such as using a blended-wing design, or open-rotor engines (which EasyJet once famously promoted for a short while), have not been marketed to airlines. The best aviation has come up with is biofuels, which are still in their infancy, as we agree. The gains that are happening in aviation, while important, are more marginal because the aluminum tube with a bunch of jet fuel design hasn’t fundamentally changed, while fundamental designs have changed in industries with more regulation and more public pressure to change. This is partly true, and really depends on who you’re looking at. Delta hasn’t ordered any new-engined narrowbodies. United has 100 MAX on order, but also 65 conventional-engined planes on order. American has made the biggest orders, but when they made their big 2011 order, still split the order 50/50 between new and old variants. The change is more pronounced in widebody planes, since the 787/A350 have been around longer than the re-engined narrowbodies. I’m not disputing these changes, or the fact that we don’t see 737-200s any more. That’s great (especially for my ears!). The argument is about the pace of change, which has been slow, and the countervailing trends. I don’t deny that some carriers are reconfiguring some widebodies with extra seats, and this absolutely helps on an ASM basis. Remember AA’s “more room in coach” from the 2000s? That’s not happening any more, and that’s a good thing for the environment, assuming those seats are being filled and fewer flights are being operated. But this debate/discussion started with the fact that I pointed out an important countervailing trend, and that’s the trend towards more spacious premium classes. Fifteen years ago, premium economy was only on a handful of carriers and aircraft. Now, it’s very common, particularly in the US and on international flights. Business cabins tended to have fewer seats, and the amenities were not as nice. It’s not just an issue for small sub-fleets at low-cost airlines either. Look at American’s 767-300s, which in an old-style business configuration have 218 seats, but with the new lie-flat seats, have 209. The same sort of thing is happening at airlines globally as customer expectations increase. This is the trend that I took issue with in my first comment, and which I still take issue with, which is that at the same time that coach is becoming more dense, premium economy and business/premium classes are expanding, and this counteracts many of the positive impacts on fuel use per ASM driven by technological change. Changes in overall seat counts vary by aircraft, and I haven’t seen a fleetwide analysis as to changes in similar aircraft over time (though if you know of one, I’d be interested). I looked up an aircraft I was recently on, a United 757-200, which according to United in 2008, had 172 seats on average, but in 2016 (they don’t give the avgs in their annual reports now), range between 142-182. For A320s, it went from 148 to 150. So despite all of the gains made with new seats, reducing seat pitch, etc., the increase in seats has either been about 1.5% on the A320, and possibly negative on the 757. Year-over-year, the gains, if any, are quite marginal. Again, I don’t deny the importance of the gains that have been made, but they are slow and are being partly offset by other trends, including trends CF is promoting, which is primarily what I find problematic here. The change has been slower because it has to be more rigorously tested. I can feed Biodiesel in my car and the worst that will probably happen, even if I were to get it on the road, is that it would stall out and sit there. Do that to a plane, and you can kill 150 people. There is NO room for baseless experimentation in Aviation. Everything has to be proven small scale, medium scale, and then large scale over the 1000s of possibilities. Test like that takes time.